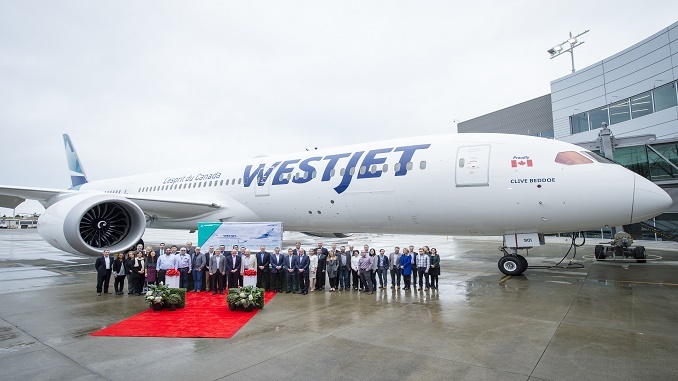 Canadian airline WestJet has received the first of ten Boeing 787 Dreamliners, marking the start of the airline’s global expansion. WestJet’s 787-9 will accommodate 320 passengers in a three-class configuration, giving passengers a choice of Economy, Premium and Business cabins. WestJet’s Dreamliners feature lie-flat business cabin seats accompanied by luxurious blankets and pillows, turndown service and in-seat TVs, offering a premium service with a distinctly Canadian feel. WestJet Premium will offer seats in a 2x3x2 configuration, an elevated passenger experience with a separate and private cabin, cozy blankets and pillows available on every seat along with a self-serve social area. The Dreamliner features turbulence-dampening technology, improved air quality to reduce jetlag and larger windows that give an increased sense of space. 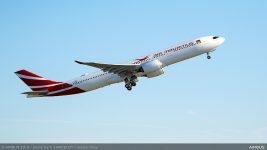 The first Dreamliner will fly passengers domestically on Toronto/Calgary routes starting February 20 to assist with crew familiarisation before the first international service from Calgary to London (Gatwick) on April 28. 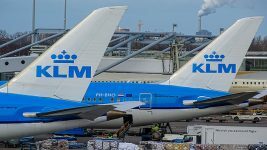 The second and third WestJet Dreamliners are currently on the production line at Boeing’s factory and will be delivered in February and March this year. WestJet Airlines is a Canadian carrier that provides scheduled and charter air service to over 100 destinations in Canada, the United States, Europe, Mexico, Central America and the Caribbean. It is currently the second-largest Canadian airline, behind Air Canada. Routes: Over 100 destinations in 22 countries in North America, Central America, the Caribbean and Europe. It has a regional airline, WestJet Encore. WestJet Encore operates a fleet of over 40 Bombardier Q400 NextGen turboprops.